Chalet Christian is one of three chalets within the former Hotel Etendard building, each of which has a dedicated host.The location is perfect as the nearest lift is only 200m walk away, and the resort centre barely five minutes’ walk where there are plenty of shops, restaurants and bars as well as an ice rink and indoor swimming pools (one entry is included with your lift pass). The chalet has a warm, appealing interior with a mix of traditional and modern features throughout, whilst the open plan lounge and dining room has an open fire,TV and DVD player. Chalet Christian’s entrance is on the 2nd floor, at the back of the building, and there is also an internal staircase (which is normally locked),connecting this chalet to the Philippe below, which can be opened up for larger groups (22 guests) booking the two chalets. Our chalet hosts will then arrange to serve dinner to all guests in the Philippe’s spacious dining room on the ground floor. 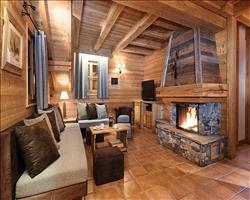 Chalet Christian has a sauna and separate ski-room with heated boot warmers. 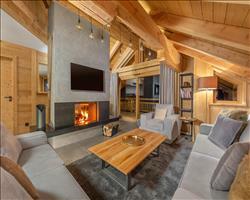 Main entrance to chalet, ski-room with heated boot warmers, open-plan lounge with fireplace, satellite TV, dining-room and kitchen, sauna and shower. Supplements per person per night: Shower/wc/balcony £3.50. Bunk beds in rooms 10 and 11 recommended for children (under 12) only. Floor plans are for guidance only and may not be exactly to scale. 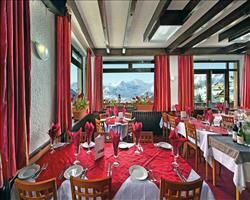 We update Chalet Christian's details often, but facilities do change. e.g. some extras listed by the supplier as "free" or included might only be for the first time you use them, or for one time per party, then charged for further use. If any specific feature is essential to your holiday, make sure you ask us to confirm the details of it before you book your holiday. Alpe d'Huez lift pass price last reported as €225 (adult 6 day). 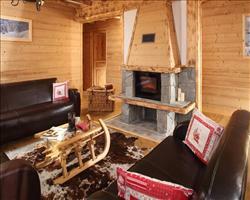 Ask for a quote when booking Chalet Christian. 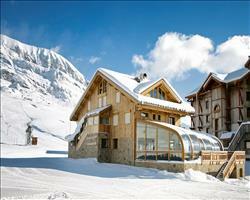 Chalet Hotel Les ... Alpe d'Huez France, Gatwick to Chambéry 14th December. Eden East Alpe d'Huez France, Gatwick to Grenoble 19th April. 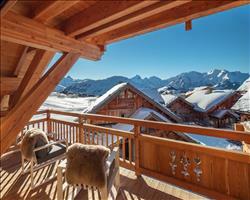 Chalet Friandise Alpe d'Huez France, Gatwick to Grenoble 4th January. "Close to the skiing and apres too"
A great location within Alpe d’Huez, being near both the piste (ski to within barely a hundred and fifty yards) and the lift (just a couple of hundred yards away). This old house was later popular as the hotel Etendard before being upgraded to catered chalet status and divided into this and Chalet Philippe (book both together if your group is more than 12 people). The 5 min “stroll” to the Palais du Sport is more like 7 minutes in the stagger home, but it’s good to “walk it off” a bit, so you’re in good shape to charge the first lifts in the morning. 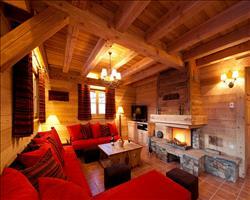 "Great location and lovely chalet." 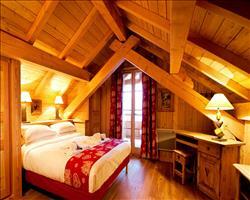 I really like the feel of Chalet Christian, it's the smaller brother of Chalet Philippe. 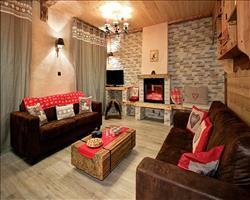 It is tastefully decorated and the open plan lounge/dining area is bright and welcoming. It's on the middle floor of the building and is accessed from the road behind. You can ski to within 100-150m dependent on the snow cover, or the bucket lift is about 200m walk downhill. There is one host looking after you for the week and the standard of food is really high. There is about a 5-10 minute walk into town for the nightlife but a good selection of restaurants close by.